One of the most frequently asked questions I get as a coach is, “When should I start using a lifting belt?” Second after that, “What kind of lifting belt should I use?” These are both great questions. 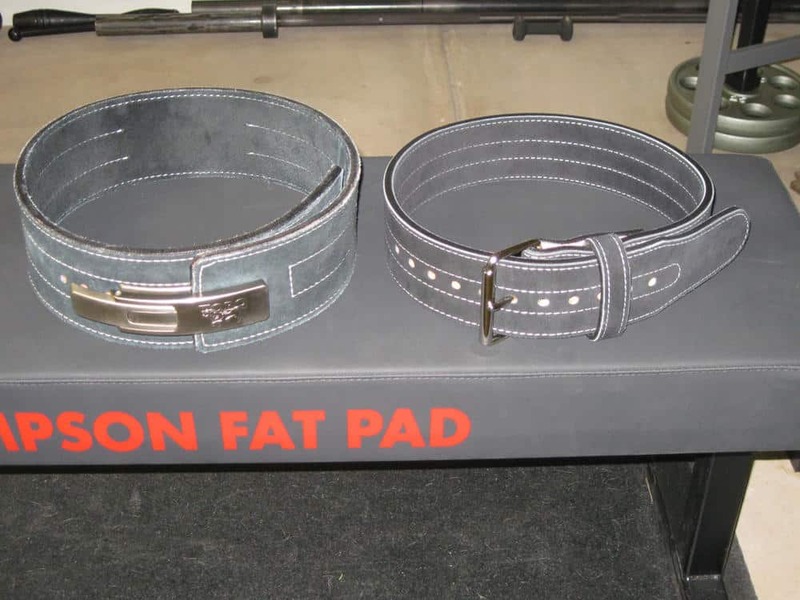 Unfortunately, there is a lot of FUD out there when it comes to the topic of lifting belts. Let’s start by tackling a couple of the most common myths and misconceptions about lifting belts. I hear variations of this all the time. It’s not hard to find a “fitness expert” on YouTube or Instagram who sings the praises of beltless lifting. A common claim is that wearing a belt makes your “core” weak and that lifting beltless gives you a stronger “core.” No, that’s not how any of this works. 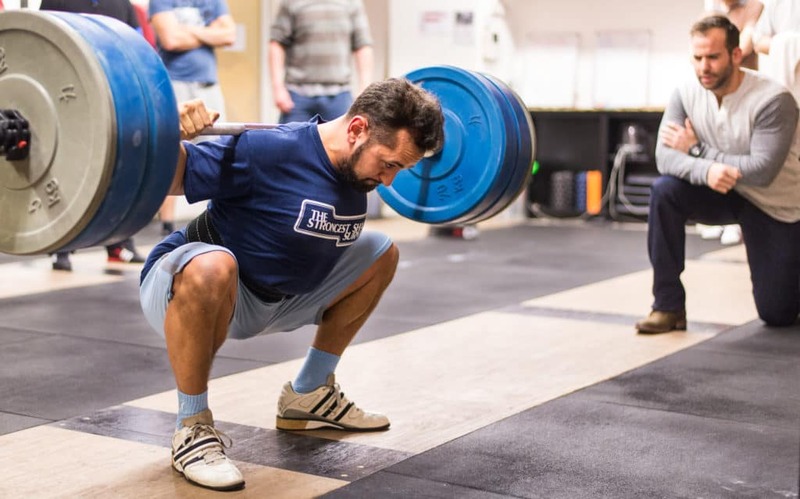 Let’s dive into an analysis of what precisely a belt is doing during, say, a heavy squat. When you’re in the bottom of a squat with a heavy barbell across your shoulders, that barbell would quite happily buckle you in half and continue its journey to the ground. Of course, we don’t want that to happen. Your spine bending under a heavy load is generally A Bad Thing™. Two things are preventing this from happening: your muscles (particularly the erector spinae) and intra-abdominal pressure. 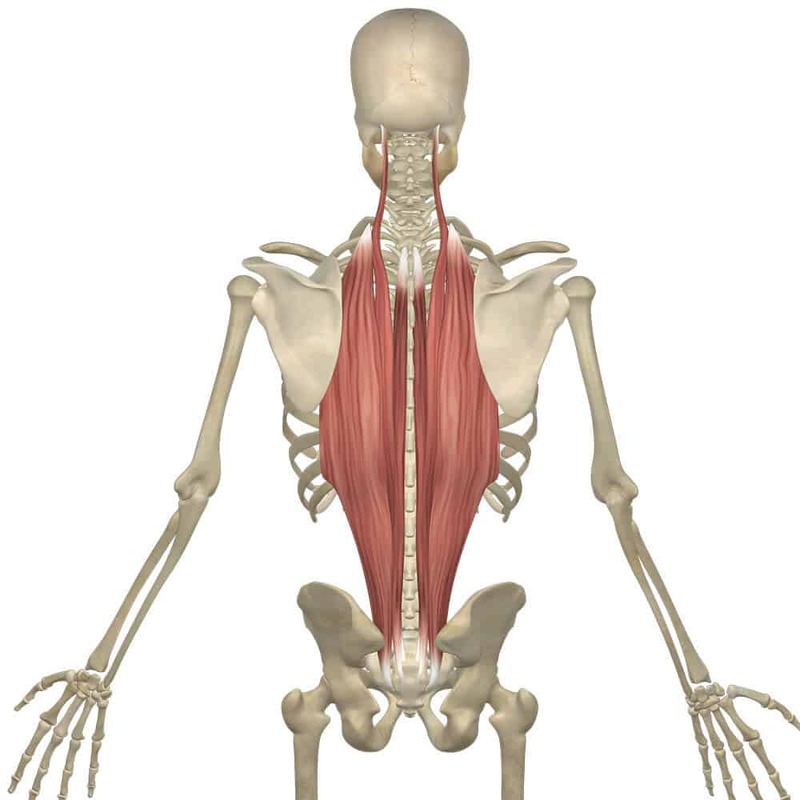 The erector spinae is a set of muscles that run along each side of your spine and function to resist spinal flexion and hold your spine in extension. In a correctly performed squat, you take a big breath of air and brace your torso. This bladder of air, in conjunction with your braced abdominal muscles, function to restrict spinal flexion. If you’ve ever exhaled at the bottom of a heavy squat, then you know exactly how this works. You either missed the squat or buckled under the load and looked like spaghetti while you stood back up. When you wear a lifting belt correctly, you significantly increase your intra-abdominal pressure, which allows you to lift more weight, apply more stress to your system, and thus get stronger. What it’s not doing is, mechanically helping you lift a weight you have no business lifting. Contrast this with the canvas underpants that are four sizes too small (also known as a “squat suit”) that are all the rage in equipped powerlifting. Throw one of those bad boys on, and your anemic 315 lb squat is now a mightily impressive 465 lbs (at 3″ above parallel). At most a lifting belt is permitting you to lift 5% more than you could without it, but that’s 5% more stress for your quads, glutes, and hamstrings (who don’t give a damn about your intra-abdominal pressure). One could argue that the belt does decrease the stress on the spinal erectors, but that is hard to quantify. What probably happens is the 5% increase in load is shared between the increased abdominal pressure and the spinal erectors. As a coach, I’ve had dozens of lifters come to me having never used a belt, with their squat stuck somewhere around 255 lbs. We introduce a belt to their lifting, which hypothetically nets an immediate 5% boost (say, 265 lb.). We take their squat, with a belt, from 265 lb. to 405 lb. in 12-16 weeks. Then just for fun, we see what they can squat without the belt. It’s always a hell of a lot more than 255 lb. We’ve touched on this already in the above analysis. Let’s use that analysis to respond to this common misconception. Your goal is to get strong. What does that even mean? Where is strong? When is one strong? It means different things to different people. It might mean being able to toss your toddler in the air or wrestle with your 10-year-old, or merely to get out of a chair without assistance. Really, your goal is to get stronger. You’re at x, let’s get you to x+1. We get you from x to x+1 by applying stress. In this case, specific, measurable stress using a barbell. Your body adapts to this stress and voila, x+1. Lifting without a belt unnecessarily limits the stress we can apply, and thus limits how strong you can get. As a coach, I tend to have my lifters use a belt either immediately, or very early in their training. The only reason I might delay is if the lifter is particularly struggling with the technique for a given lift. In that case, I might keep the belt out to limit the variables and distraction during the early weeks of their lifting. In short, there is no “strong enough” for a belt. Once you have the mechanics down, start using one. This will allow you to pre-empt any stalls in progress you would inevitably have if you continued lifting beltless. It’s not as simple as putting on a belt you might wear with your pants. Most novice lifters tend to wear their belt far too loose. The belt should be significantly tighter than what is merely sufficient to hold your pants up. On a single-prong belt, this usually means tightening it 2 to 3 holes past the “hold my pants up” level of tightness. When appropriately tight, the belt will press your abdominal wall inward a few inches. This means that when you brace your abs, your abdomen will press out against the belt. You will immediately feel the increase in intra-abdominal pressure. If the belt is too loose, bracing will do nothing, or worse you may find yourself pushing your abdomen out to seek the tightness. The belt should by default be positioned directly over your navel. This is correct for most people. However, if you have an unusually short or long torso, you may need to adjust it up or down an inch or two. If the belt is digging into your ribs, push it down. If it is digging into your iliac crest (the bony part of your pelvis you can feel just beneath your skin), pull it up. You should use your lifting belt for at least your squat, overhead press, and deadlift. These lifts all benefit from increased abdominal pressure and the increased trunk rigidity. It’s arguable whether or not a lifting belt helps significantly with the bench press. If it does help, it certainly doesn’t function the same way as it does in the other lifts. It doesn’t hurt to use one, so just do it. As far as when to use it during your workout: put the belt on for your final warmup set, and wear it for each of your working sets. What type of weight lifting belt should I buy? Belts come in all shapes, sizes, and materials. It is essential to know what precisely to avoid when shopping. Quality lifting belts are made of leather and fastened with a buckle or lever. Garbage belts are made out of nylon and secured with velcro. Velcro wears, and it wears fast. 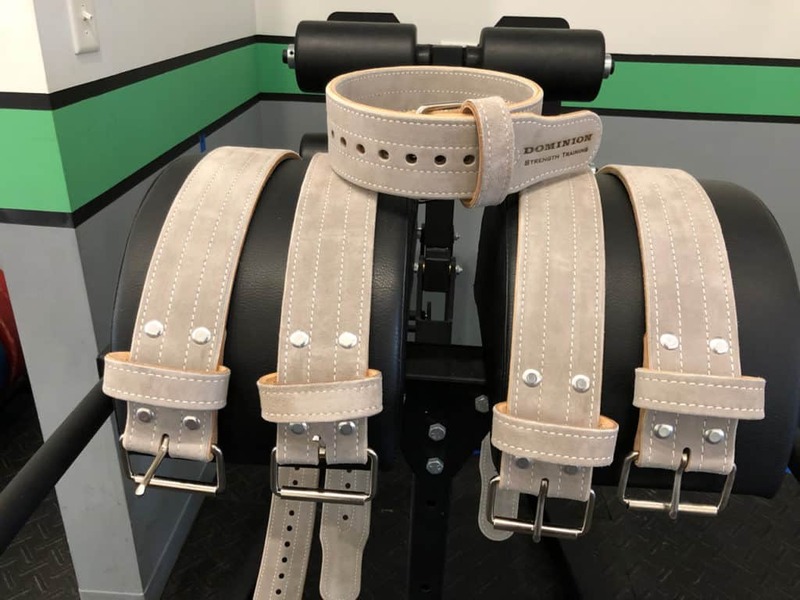 If you’re wearing your belt correctly in training, then you should be taking it off in between your sets because it is not comfortable to just hang out in it. This means you’re fastening and unfastening your belt up to 30 times a training session. Give it three months, and your belt will have lost a significant amount of its ability to stay closed under stress. I have never seen a velcro belt that I couldn’t force open just by bracing. Trust me; you don’t want your belt popping open at the bottom of a squat. Leather, fastened with a single-prong metal buckle or with a metal lever, has none of those problems. Yes, you will pay more, but as with many things in life: you get what you pay for. Lifting is ultimately a very inexpensive sport. You need a good pair of shoes and a good belt, and you’re good to go for years or decades. A quality lifting belt will cost $80-$150 and last a lifetime. Thickness: 10 mm or 13 mm. Leather belts come in varying thicknesses, typically either single-ply leather (about 5-6.5 mm thick) or a double-ply (10 mm or 13 mm thick). I do not recommend the single ply belts. They deform far more easily than their heftier cousins. 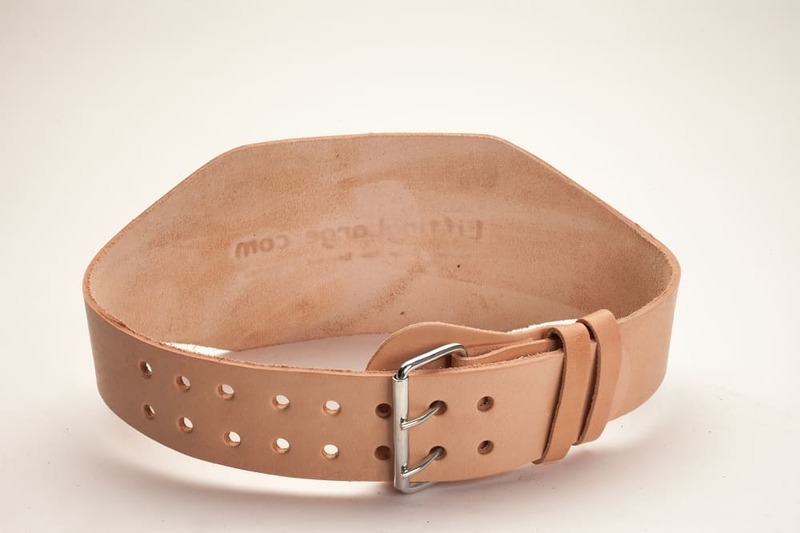 With a 6.5 mm belt, you will quickly start to see deformation around the buckle holes. Also, it’s quite easy to bend the belt across its width (from top to bottom). This is problematic for “fluffier” lifters. New lifters should start with a 10 mm thick belt. They don’t suffer from the same problems as the thinner single-ply belts. If you’re a competitive powerlifter, then you may consider a 13 mm belt, but it is overkill for most others. My standard recommendation for most lifters is to start with a 4-inch belt. This works well for the “average” male. However, for some women, or indeed anyone with an unusually short torso, there may not be 4-inches of room between their ribs and their pelvis. You shouldn’t feel sharp pinching in your ribs or pelvis at the bottom of the squat. 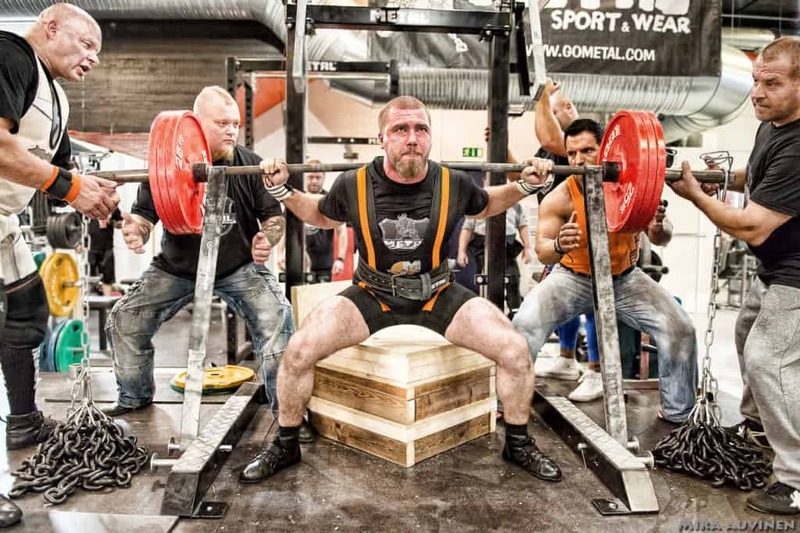 For these lifters, a 3-inch belt will most likely be appropriate. Some manufacturers make belts as narrow as 2.5-inches, but I have never met a lifter who needed one. What’s most important to note here is what you should avoid: tapered belts and anything over 4-inches in width. Tapered belts are usually narrower in the front (2-3 inches) and wider in the back (4-8 inches). This is foolhardy. Manufacturers sell these to people who think the belt’s purpose is to protect their back somehow. That’s flat-out wrong. The width of the belt in the back has nothing to do with the safety or health of your back under load. Remember, the belt is a tool to increase your intra-abdominal pressure (which helps your back), but it provides no means of mechanical protection for your back. Even worse, the narrower width in the front means the belt is less effective at resisting your braced abdomen, and thus less effective at maintaining increased intra-abdominal pressure. Most new lifters should buy a single-prong lifting belt. I don’t see a point in the double-prong belts; it’s just something else to fiddle with while trying to get into and out of the damn thing. You can also buy what’s called a lever belt; it uses a lever to close the belt. This makes it far easier to tighten the belt adequately. The downside is that you can only adjust the size of the belt with a screwdriver. If you need a 3-inch belt, you may also have difficulty finding one with a lever. 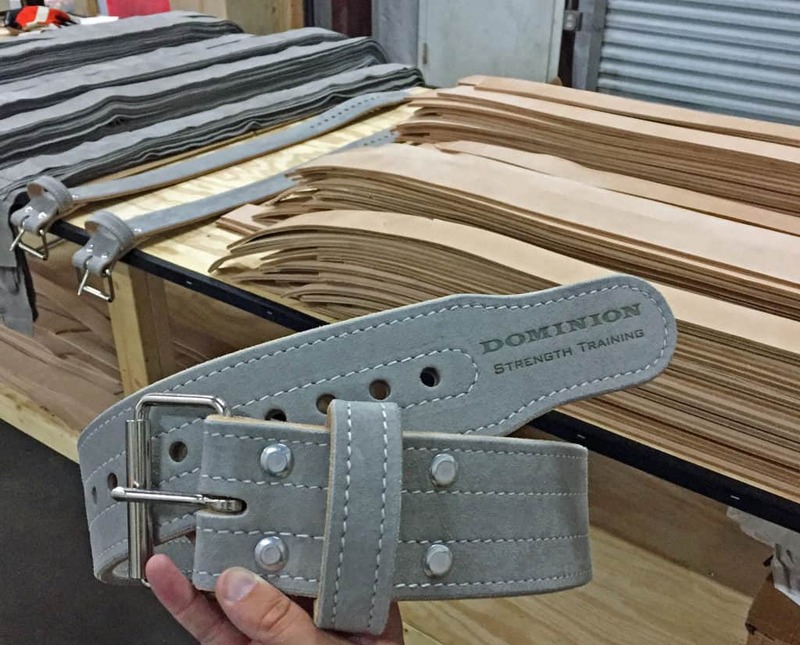 My go-to recommendation for belts these days is Dominion Strength Training. They make high-quality 4-inch and 3-inch single-prong belts. Not only are they high quality, but they also ship in 2-days via Amazon Prime. Fast shipping is nearly impossible to come by in the quality belt market. Additionally, they’re made in the USA by a member of the Starting Strength community. If you want more color variety or custom embroidery, then I would recommend going with either Best Belts or Pioneer. Going with either of these guys means you’re going to wait anywhere from 4-8 weeks to get your belt because they are handmade to order. I should note that I have seen some first-hand quality control issues with some Pioneer single-prong belts: crooked holes and split rollers on the buckles. I use a 4-inch wide, 10 mm Inzer Forever Lever belt. I’ve experimented with a 3-inch belt on deadlift, but these days I stick with my 4-inch belt. I did break a prong off of my lever one day by casually tossing the belt on the ground. This seems to be a problem with many lever belts. For some reason, the metal used in the lever tends to be somewhat brittle. If I were to buy a new lever belt these days, I’d probably go with Pioneer over Inzer.